Mary Prince was a Bermudian slave who published her autobiography, “The History of Mary Prince, A West Indian Slave“. This book was the first account of the life of a black woman to be published in England. She was born in Brackish Pond [now known as Devonshire Marsh] in Bermuda in 1788. Her parents were both slaves: her father owned by Frances and David Trimmingham and her mother owned by Charles Myners. When Charles Myners died in 1788, Mary and her mother were sold to Captain Darrell, and when she was 12, Ms Prince was sold to Captain John Ingham and his wife Mary Ingham, who lived in Spanish Point. I was soon surrounded by strange men, who examined and handled me in the same manner that a butcher would a calf or a lamb he was about to purchase, and who talked about my shape and size in like words – as if I could no more understand their meaning than the dumb beasts. I was then put up for sale. 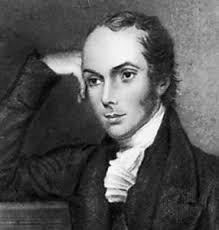 The bidding commenced at a few pounds, and gradually rose to fifty seven, when I was knocked down to the highest bidder; and the people who stood by said that I had fetched a great sum for so young a slave. She was sold to again and sent to Grand Turks in 1906 to work extracting salt from the oceans, an industry Bermudians had used seasonally for a century. Ms Prince returned to Bermuda in 1810, and was sold to John Wood in 1818 and sent to Antigua to be a domestic slave. In December 1826, she married Daniel James, a former slave who had bought his freedom and worked as a carpenter. She was severely beaten by her master for this “transgression”. To strip me naked – to hang me up by the wrists and lay my flesh open with the cow-skin, was an ordinary punishment for even a slight offence. In 1828, her owner John Wood took her as a servant to London. Although slavery was illegal in Britain, she had no means to support herself and couldn’t return to her husband without being re-enslaved. She took shelter with a church, and was eventually hired by Thomas Pringle, an abolitionist writer and Secretary to the Anti-Slavery Society. 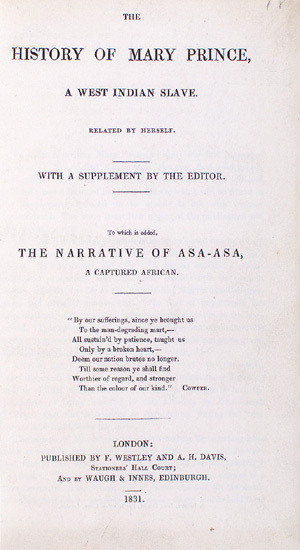 Ms Prince arranged for her narrative to be transcribed by Susanna Strickland and it was published in 1831. You can see the original front cover of the book here. Oh the horrors of slavery! – How the thought of it pains my heart! But the truth ought to be told of it; and what my eyes have seen I think it is my duty to relate; for few people in England know what slavery is. I have been a slave – I have felt what a slave feels, and I know what a slave knows; and I would have all the good people in England to know it too, that they may break our now it too, that they may break our chains, and set us free. Her book remains the only first-hand account in existence of the daily life of a Bermudian slave. In a strange twist, Ms Prince’s book didn’t make its way to Bermuda over 150 years later, when an American scholar doing research on Mary Prince presented a copy of the book to the Bermuda Archives. Her full book is below. Clicking ‘full screen’ on the upper right hand corner is advised for clarity, click ‘ESC’ to return to this screen. On June 22, 2011, Premier Paula Cox participated in a celebratory reception at the School of Oriental and African Studies at the University of London, and unveiled a commemorative bronze plaque honouring the life of Mary Prince, who lived near the site of Senate House [University of London]. 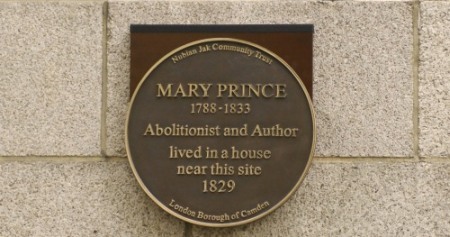 The unveiling was hosted and organized by London based Nubian Jak Community Trust who have embarked on a number of activities to fund-raise for the Mary Prince plaque. The plaque, 22 inches in diameter and made from solid bronze, was temporarily installed at Senate House [University of London] in October 2007. The unveiling by Premier Cox signified the establishment of a permanent position in honour of Ms. Prince. Those attending the unveiling ceremony included Ms. Moira Stewart of the BBC and granddaughter of Dr. E. F. Gordon, local historians, representatives of Camden Council and students of the University of London.